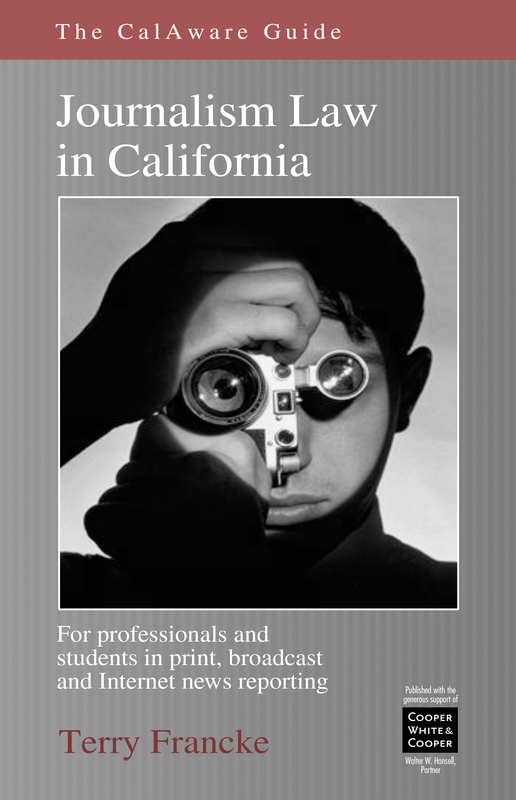 Veteran journalists and j-law teachers are praising the new ebook edition for iPad, Kindle and smartphone—available in paperback as well—of the indispensable guide to newsroom law in California. • California and constitutional law protecting college as well as high school journalists. A 360-page indexed paperback pocket edition will be available in mid-November on Amazon at $24.95. Meanwhile the $19.99 ebook edition (at http://tinyurl.com/me9rshf or in the iTunes store) links every mention of a case or code section to the full text online, as well as the leading Internet resources for using the federal Freedom of Information Act. And like any other ebook, the format allows for contextual word searching, bookmarking and highlighting. Both editions also include recommended protests or statements to be used in the field when journalists’ rights of access or independence are threatened.